All the federal polls (conducted by professional firms, and not those from local riding associations...) are listed on this page. 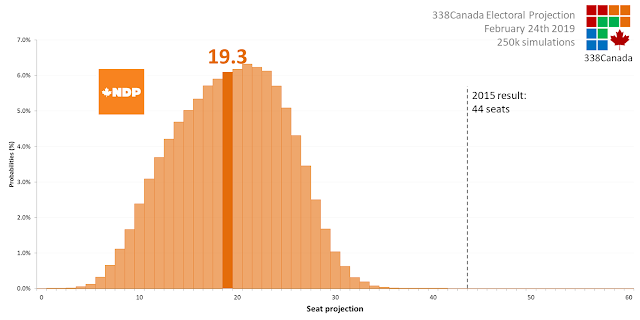 Here is the 338 Electoral Projection Update for February 24th 2019. 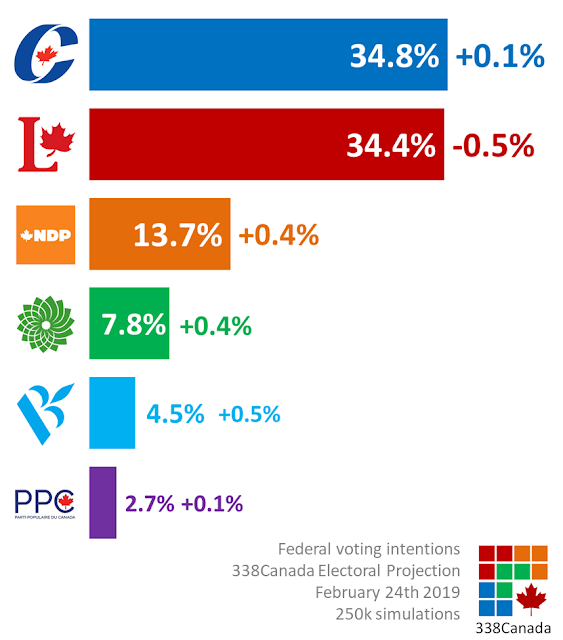 We still have a statistical tie on top of voting intentions, but this time the Conservative Party of Canada sits on top, barely, with an average support of 34.8%. 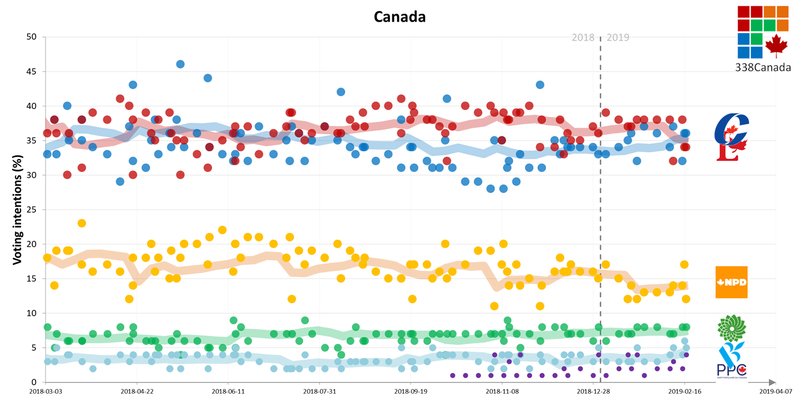 Polls in the last month have put the CPC as low as 32% (Nanos) and as high as 38% (Campaign Research & Nanos). 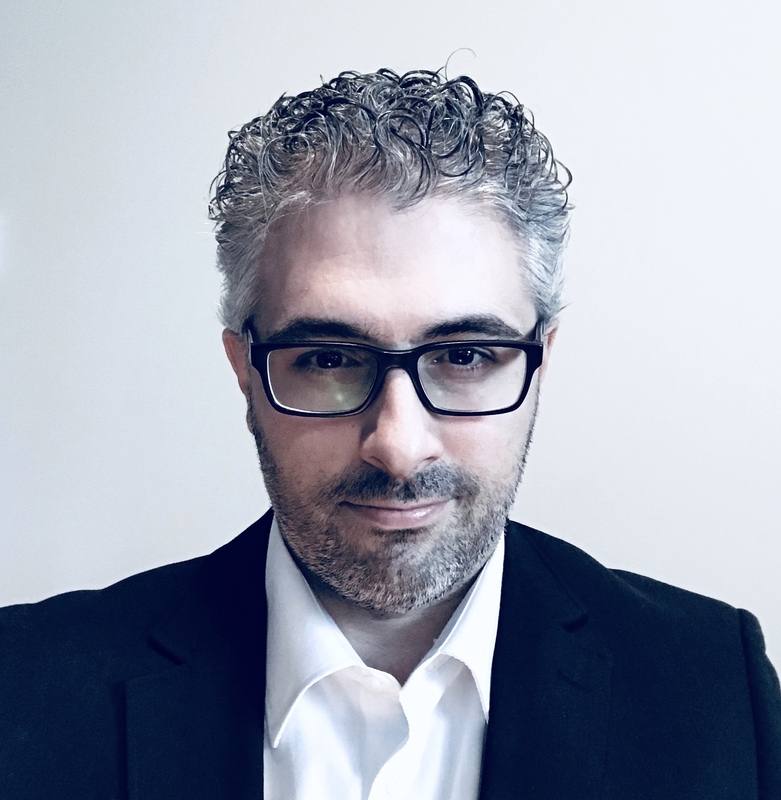 The Léger/CP poll released this week was the first Léger poll showing the CPC ahead since 2015 (per Jean-Marc Léger himself on Twitter). 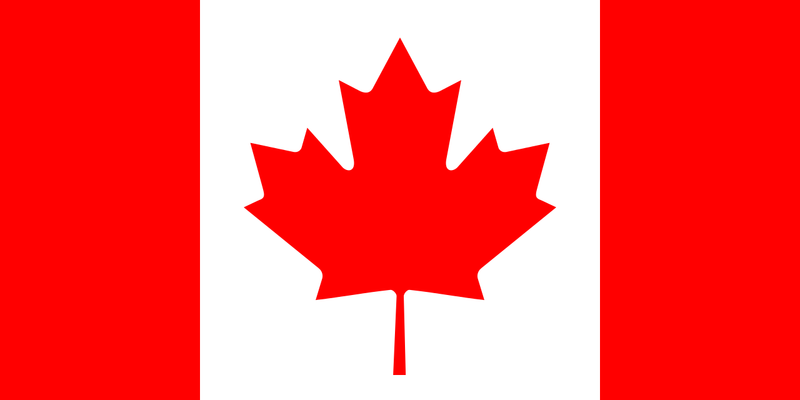 The Liberal Party of Canada slides again this week with an average of 34.4%, down half a point from last week's projection (where it was down 0.7 point from the previous week). The other big winner this week was the Bloc québécois, which gains two more points on average in Quebec. If the BQ continues to climb and approaches the 20% mark, the odds of a liberal "quasi-sweep" of Quebec will go down significantly. 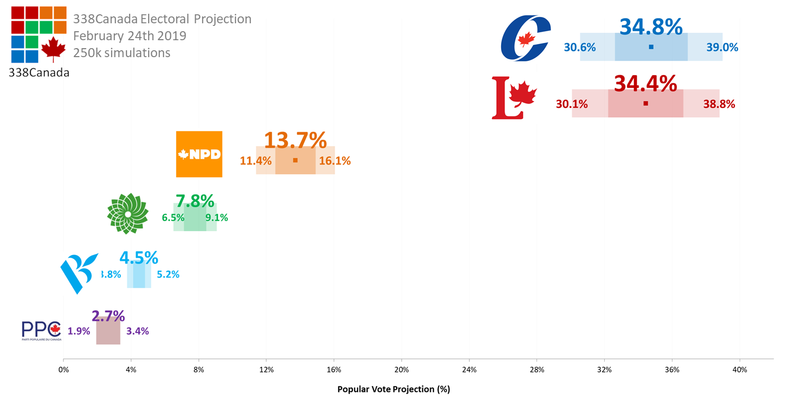 Here are the popular vote projections with 95% confidence intervals. 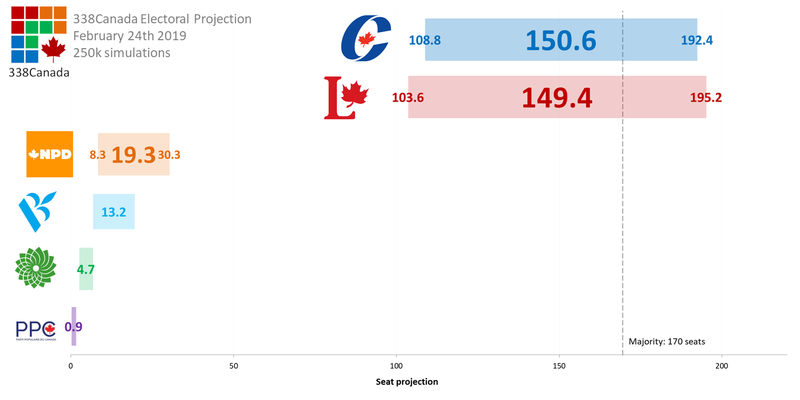 Unsurprisingly, the seat projection tightens up even more this week. With the Liberals shedding support in Quebec, the Conservative Party of Canada continues to climb and wins an average of 151 seats. With such numbers, it is impossible to identify which party is the favourite or the underdog. 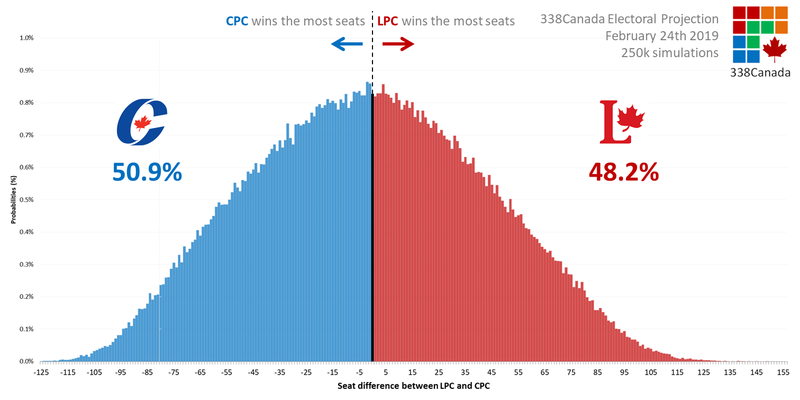 The distributions overlap each other almost perfectly (notice the Liberal curve is slightly wider: this is because the LPC is competitive, but not necessarily leading, in more ridings than the CPC). The New Democratic Party wins an average of 19 seats, which still is less than half its 2015 result. Naturally, all eyes will be on the Burnaby South by-election tomorrow. The results could have national consequences. With this week's numbers added to the 338 model, we have - almost literally - a coinflip on which party could win the most seats. The CPC wins the most seats in close to 51% of the 250k simulations ran by the model. 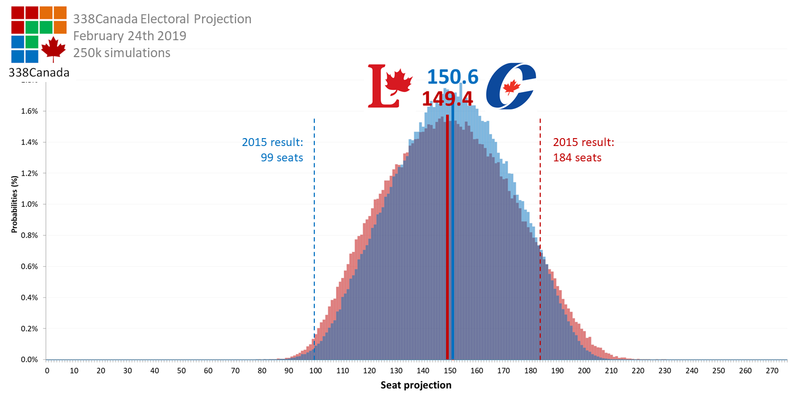 The LPC wins the most seats in about 48% of simulations. The remainder of simulations are those where the CPC and LPC are tied in number of seats (the black line on the graph below). In the Atlantic provinces, the Liberals still hold a comfortable lead, but not comfortable enough for a clean sweep like the 2015 elections. Conservatives are poised to make gains in New Brunswick. In Quebec, the Liberals still win an average of 50 seats. The Conservatives lead in the Quebec City area. Maxime Bernier is projected ahead in Beauce. 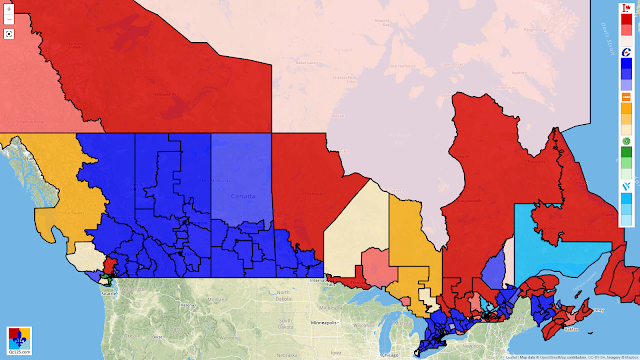 In Ontario, the Conservatives and Liberals are in a statistical tie, with an edge given to the Conservatives in terms of seats. In the Prairies (MB/SK), the Conservatives are ahead. The Liberals hold most of their seats in Winnipeg. 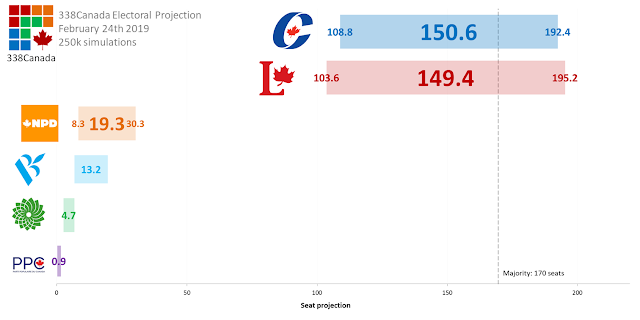 In Alberta, the Conservatives are projected ahead in 33 of 34 districts. The NDP could hold on to Edmonton-Strathcona. 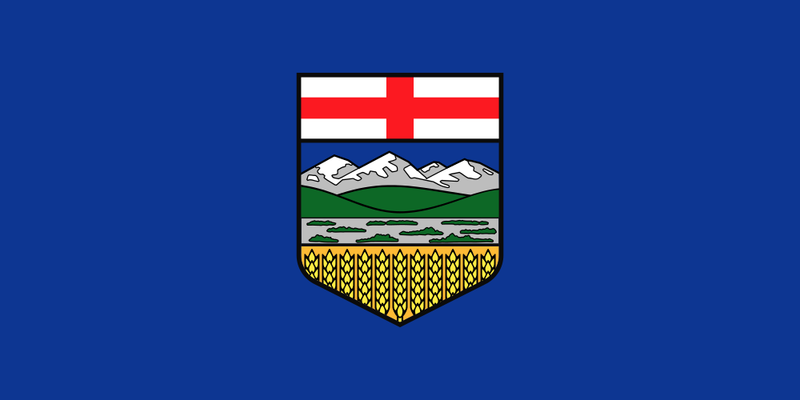 Liberals won 4 seats in Alberta in 2015 and are currently projected to lose them all. 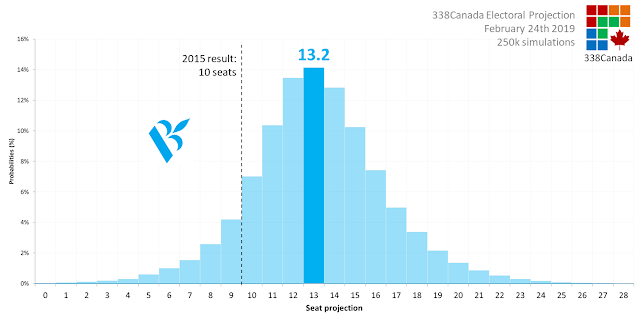 In British Columbia, many districts are projected as toss ups. The Liberals, NDP and Conservatives could split Greater Vancouver, the Greens could make gains on Vancouver Island. The Conservatives lead in most rural regions. The complete map of the projection has been updated. And don't forget: three by-elections Monday night: Outremont, York-Simcoe, and Burnaby South. Next 338 update will be on Sunday, March 3rd 2019. Have a great week!